Transcription of an article titled ‘Private Don. Stewart’ published in the Wellington Times, 9 November, 1916, p. 7. Per his military service record (regimental no. 4600), Donald Singleton Stewart was born at Wellington, N.S.W. He gave his age as 18 years (instead of his actual age of 16 years and 9 months), his marital status as single, and his occupation as grocer. His description on his medical was height 5 feet 8 inches tall, weight 9 stone 5 lbs., with a fair complexion, blue eyes, and fair hair. His religious denomination was Methodist. He was known as one of the Wellington recruits, and joined the Coo-ees on the road after the Coo-ees had passed through Wellington. He was attested by Captain Nicholas “eight miles east” of Molong [at Boomey] on the 22nd October 1915, and completed his medical at Molong on 22nd October 1915. He claimed that he had previous military service with the Militia. On his embarkation roll his address at time of enrolment was Park Street, Wellington, N.S.W., and his next of kin is listed as his father, E. Stewart, Park Street, Wellington, N.S.W. 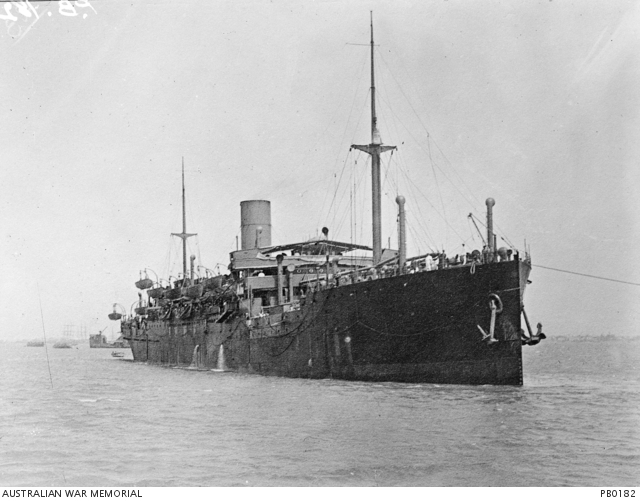 Private Stewart departed Sydney on the HMAT A70 Ballarat on the 16th February 1916 as 14th Reinforcement for the 13th Battalion. He arrived in Egypt on the 22nd March 1916. On the 1st April 1916 he was transferred to the 54th Battalion. On the 19th June 1916 Private Stewart left Alexandria aboard HT Caledonian bound for France, arriving at Marseille on the 29th June 1916. On the 20th July 1916 Private Stewart was reported missing in action after taking part in the Battle of Fromelles. On the 12th August 1916 Private Stewart was reported to be a prisoner of war in Germany. He was interned at Dulmen, Germany (a prison camp in Westphalia), then later detained at Schneidemuhl, Germany. 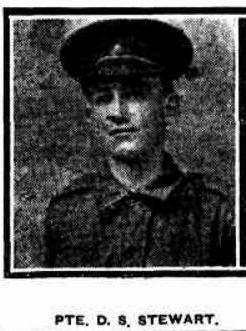 One of the youngest of the Coo-ees, he had his 17th birthday in Liverpool Camp, and his 18th and 19th birthdays as a prisoner of war in Germany (Wellington Times, 19/9/1918, p. 3). After the end of the war, Private Stewart was repatriated to England on the 18th December 1918. Private Stewart departed England on the 3rd May 1919 for return to Australia aboard the steamer Leicestershire, disembarking at Sydney on the 22nd June 1919. He was discharged on the 14th August 1919.